What is a Global Kit? 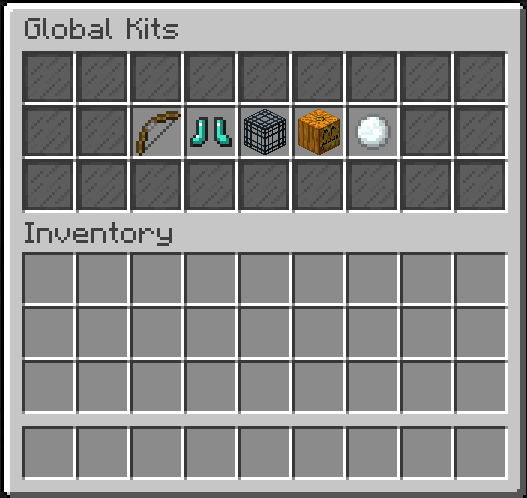 A global kit is a package which can be purchased from the MineHeroes store - it is a kit which can be used on all of the core game-mode servers. Global Kits are 'limited' edition and are only available during a certain time period. For example: The summer global kit is only available in summer, and the Christmas global kit is only available over the Christmas break. How often can I use a Global Kit? Different global kits have different cool-downs but they vary from a few weeks to 2 months or so. If you use a global kit on one server, you won't be able to use it on a different one until the cool-down has run out. I've purchased a Global Kit, how do I use it? Once you have purchased a global kit, you will be able to access the 'gkit' menu by executing the command /gkit in-game (on one of the core game-mode Servers). What Global Kits are available? There are 5 different global kits which are available; Valentine, Easter, Summer, Halloween, & Christmas. What do I get from my Global Kit? Below are several spoilers for each of the available global kits, click on one of the spoilers to reveal what items you would receive if you were to use a global kit on that server. Use this key on a Platinum Crate and gift a copy of your reward to a friend! BasicallyLouis and BasicallyKyle like this.